In 1947 Hunter Douglas invented the first aluminium venetian blind. After 13 years successfully supplying the product into the architectural market, they developed the first linear aluminium ceiling using the same material. Entitled 84R a new product range was born. Over the ensuing years our ceiling portfolio has developed into a substantial range with over 70 different types of ceilings available in a wide range of materials and finishes. Hunter Douglas are dedicated to supplying ceilings that are sustainable, durable and suitable for exterior and interior applications. We like to think outside of the box, be creative and develop an understanding with our customers. We have invested heavily in research & development with a real focus on ceiling innovation. Our latest co-invention is the HeartFelt® linear felt ceiling, which has won a red dot award for best of the best of the year in 2017. At Hunter Douglas we lay great store in the training of our technical engineers. They are on hand to work with you to deliver a ceiling system on even the most complex of building projects. 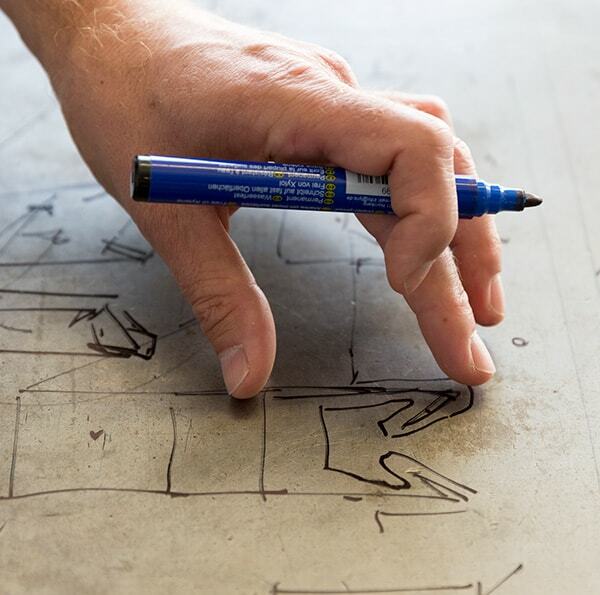 Our knowledgeable consultants, BIM experts, and project engineers work on applications of every kind: from stadiums, to airports, to museums and beyond, and will help specify sustainable materials, design versatile integration systems, and create a ceiling topography that gives every space its own personality. 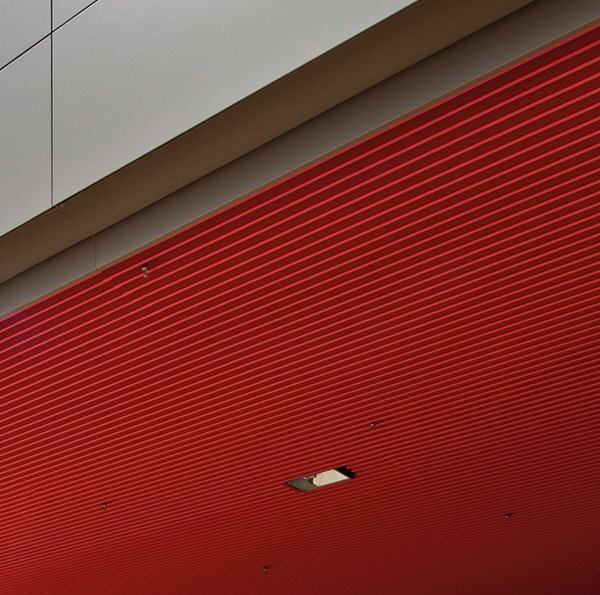 It is our mission to create quality ceilings. All of our ceilings are designed, optimised and created for perfection. All ceilings go through a rigorous safety check to ensure that they are fit for purpose. Our CAD draftsmen have many years of experience creating ceilings that have featured on some of the most prestigious projects around the world. For our aluminium ceiling range we provide a wide range of standard colours that are applied in our paint finishing plant. In practice we can match any colour that is requested by our clients. 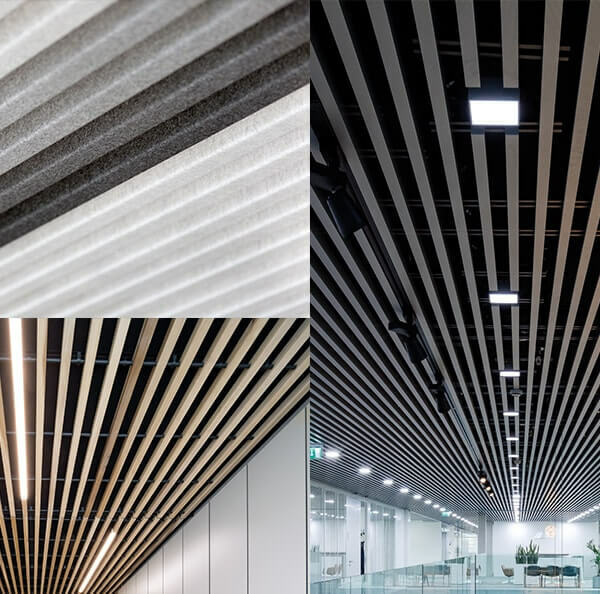 In addition to standard uni- or metallic colours, we offer a range of wood prints for our metal ceilings. For HeartFelt® we have a range of 7 shades of grey together with 5 new earth tones. 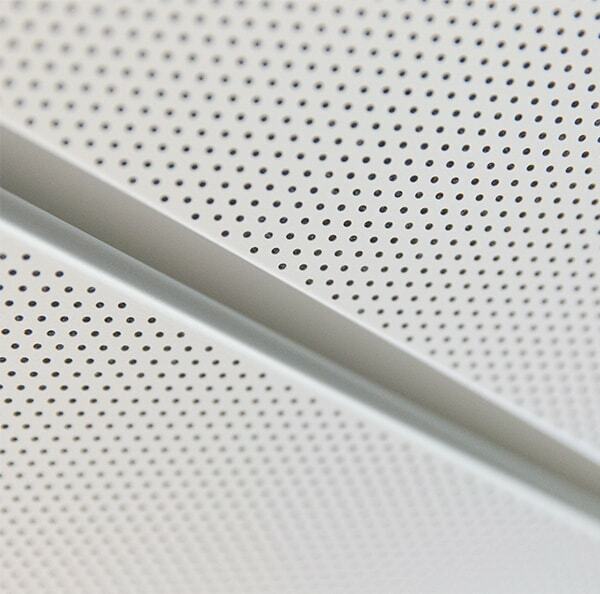 A perforated ceiling will almost certainly improve the sound quality of a room.The majority of Hunter Douglas ceiling systems can be supplied with a perforated finish to the panel. Custom perforations are also available and designers are encouraged to discuss whether their ideas can be created with our technical support team. The acoustic comfort in an office space, school or public building contributes to our well being as poor acoustics can affect health, communication, safety, productivity and learning. Hunter Douglas high performance acoustic ceiling products are ideal, they deliver outstanding acoustic performance and comfort, whilst creating an aesthetically pleasing environment. Hunter Douglas Architectural's commitment to sustainability and responsible development is evidenced by our continuous efforts to address environmental concerns, improve production processes, eliminate waste and reduce maintenance. Our focus is to contribute to and educate people on designing healthier, more resilient spaces. For decades we have been using ever higher ratios of recycled aluminum for our ceilings. Currently our own produced aluminium contains 90% recycled material. 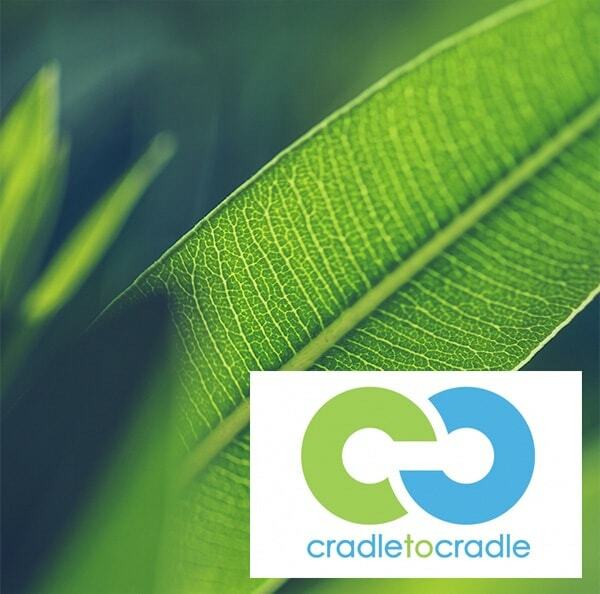 All our own production scrap is collected and re-worked into new valuable input for our melting processes. The whole range of Hunter Douglas Architectural linear and wide panel metal ceilings program is C2C level bronze certified.